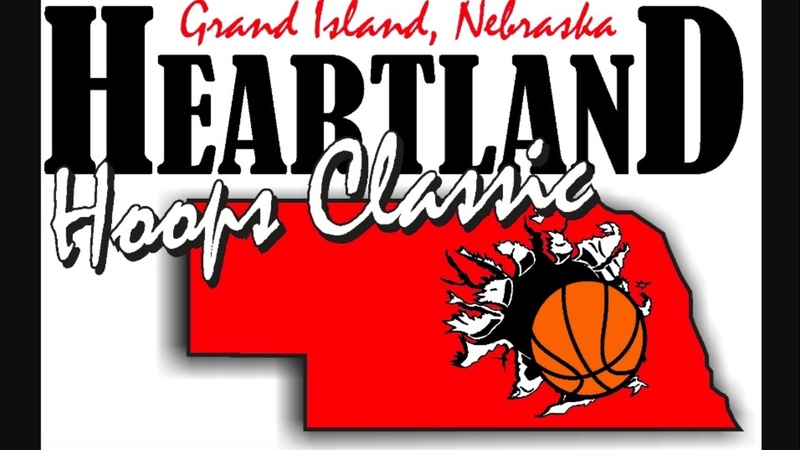 Each year, the Heartland Events Center plays host to an all-day event, the Heartland Hoops Classic. The 12th iteration of the Classic brought 14 teams from all across Nebraska as well as two powerhouse programs from outside the state’s borders to Grand Island for a full day of hoops. Loomis put up a good fight but Riverside charged on, improving to 19-0 on the season. The Chargers used a 10-0 run in the first quarter to take a 15-5 lead and held a 21-12 advantage after one but the Wolves opened the second quarter with a 13-3 run to take a 25-24 lead. It was back and forth from then on. Riverside star guard put back his own miss just before halftime to give Riverside a 36-34 lead at the break. Joseph Bloom, a 6-foot-7 senior for Riverside, proved to be too much in the second half as he score 12 of Riverside’s first 17 points in the third quarter to give the Chargers a 53-44 lead. Loomis scored six in a row to pull within three but Riverside took a 58-52 lead into the fourth and locked down defensively, holding Loomis to seven points and 3-of-13 shooting to put the game on ice. Bloom was just too big and athletic for Loomis to stop. He scored 22 of his game-high 31 points in the second half and converted 12 of his 18 shot attempts and seven of his nine free throws. Prososki had an off shooting day but still finished with 22 points, seven assists and four steals. Aaron Dow, a 6-foot-3 senior, led the way for Loomis with 25 points. He showed a nice arsenal of skills, scoring inside and out with solid footwork, good change of pace and a reliable jumper. Freshman Quinn Johnson is one of the best pure shooters in the 2022 and showed that on Saturday, finishing with 15 points and shooting 4-of-7 from deep. Auburn hung around for a while but BRLD pulled away in the second half to secure its 16th straight win. The Wolverines jumped out to a 9-3 lead early but the Bulldogs rallied to within two at 17-15 at the end of the first. BRLD scored the first six points of the second quarter but Auburn again cut it to two at 25-23 heading into halftime. Auburn turned the ball over five times to start the third quarter and the Wolverines took advantage to build up a 10-point lead. BRLD continued to roll from there, taking a 47-34 lead into the fourth quarter and cruising to the 16-point win. BRLD sophomore point guard Lucas Vogt was in control all game long, finishing with 21 points, eight rebounds and four assists without a turnover. He shot 9-for-9 from the free-throw line, all in the second half. Vogt also defended Auburn’s star guard Cam Binder and did a very good job, limiting his opportunities. Will Gatzemeyer, a 5-foot-11 junior, was terrific in the second half, scoring 14 of his 20 points and finishing well at the abase despite his lack of height. Vogt did a great job on Binder, but the sophomore still broke loose some and finished with 21 points, though it easily could have been closer to 30 with a few of his shots going halfway down before popping out. He’s got a really soft touch on his jumper and a lot of craft around the rim. Aurora raced out to a 16-2 start and that was all she wrote as the Huskies steamrolled Cozad for a 20-point win. South Dakota State signee Baylor Scheierman, a 6-foot-6 point guard, scored or assisted 13 of Aurora’s first 14 field goal attempts and had notched 11 assists (breaking the even record of nine) and five steals (tying the record) midway through the second quarter. Scheierman’s perimeter jumper was off (1-of-6) but he still dominated the game from start to finish, recording a triple-double with 19 points, 16 rebounds, 15 assists, five steals and two blocks. Scheierman is as entertaining a player as you’ll find in the state of Nebraska. Karyn Marhenke, a physical 6-foot-5 sophomore, was impressive for Cozad with 22 points and eight rebounds, carving out space around the rim to rise and finish and knocking down couple of jumpers as well. The Patriots came out on fire, bombing away from 3 and jumping out to a 20-14 lead early. Adams Central shot 6-of-10 from deep int he first quarter. However, Skutt ripped off an 11-0 run to end the first quarter and take a 25-20 lead then scored first in the second period to make it a 13 straight. The Patriots cooled off and only mustered seven points int he second quarter, allowing Skutt to build up a 37-27 lead at halftime. Skutt opened the second half with a 9-0 run and Adams Central didn’t convert a shot from the field until the 1:43 mark of the third quarter. Skate led 56-37 after three and cruised through the fourth quarter. Senior Jake Kudron was on fire, hitting his first four shots and converting eight of his 13 attempts including 4-of-7 from deep to finish with a game-high 22 points. Senior center TJ Skradski and junior point guard Andrew Merfeld chipped in 14 and 10 points, respectively. Junior guard Tyson Gordon carved up the Adams Central defense all day, finishing with 10 points, eight assists, seven rebounds and two steals. Senior guard Nolan Sughroue hit four of his first five shots and scored 10 points in the first half but went scoreless in the second half. Junior Haggan Hilgendorf, a 6-foot-9 forward, led the Patriots with 17 points on 6-of-12 shooting, six rebounds and three blocks. He showed an impressive touch from the perimeter as he did most of his damage with his jump shot. As a team, the Patriots shot 11-of-23 from deep but only 7-of-21 inside the arc. The teams went back and forth early with North Bend Central leading 18-17 after one and stretching that to 30-26 at halftime thanks to 20 first-half points from senior Tanner Wietfeld who hit all five of his shots including three triples and all seven of his free throws. North Bend locked down on Wietfeld defensively in the second half, however, and senior guard Jack Goering caught fire. He outscored North Bend Central 12-5 by himself and the Crusaders took a 43-35 lead into the fourth quarter where they held on for the nine-point win. Goering finished with 19 points on 6-of-12 from the field (3-of-4 from 3) and 4-of-5 from the foul line. Wietfled only scored three points in the second half to finish with a game-high 23 to go with his eight rebounds. Game six featured two of the better teams in Class B squaring off, but Brady Danielson made sure that it didn’t turn into a classic. The Northern State signee hit his first four shots to power York to an early 14-5 lead. The Dukes took a 22-14 lead after one, then really poured it on in the second, stretching the lead to as much as 21 as the Badgers couldn’t get anything to fall on offense. Bennington hit a couple of shots late, but York led 39-20 at halftime. Danielson nearly equalled the Badgers by himself with 19 first-half points. York managed to maintain its sizable lead throughout the second half as Bennington couldn't string enough stops and buckets together to make a dent. Both teams went deep into their benches in the fourth quarter to give their reserves a chance to see the court. Danielson finished with 26 points on 11-of-15 from the field and 3-of-6 from deep. Nebraska football signee Garrett Snodgrass had a double-double with 19 points on 7-of-10 shooing and 10 rebounds and he threw down a two-handed slam during the second quarter. Grady Corrigan scored all 10 of his points in the third quarter to match Cooper Prososki for team-high honors on Bennington’s side. In a game loaded with high-flying athletes and future Division I players, Wasatch Academy (Mt. Pleasant, Utah) built up a big lead early and held on for an impressive win over the Buffaloes of Sunrise Christian Academy out of Bel Aire, Kansas. 2019 Minnesota signee Tre Williams and 2020 4-star prospect Caleb Lohner (who transferred from Flower Mound in Texas to Wasatch in January) combined for 17 points in the first quarter alone as the Tigers raced out to a 24-15 lead after one. Grant Sherfield, a top-150 prospect in the 2019 class, got going int he second quarter with six points for Sunrise but the rest of the Buffaloes combined for five as Wasatch pulled ahead 39-26 at halftime. Wasatch continued to dominate throughout the third quarter, taking a 54-33 lead into the fourth quarter where the Buffaloes made a late rally, setting up a final score that was a little more competitive than the game actually was. Sheffield led all scorers with 20 points including five 3-pointers but the only other Buffalo in double figures was 2020 5-star center N’Faly Dante, who scored 12 points, mostly all of them on dunks. Williams was impressive with 19 points to lead the way for Wasatch; Minnesota is getting a good one in him. Lohner scored 15 points and 4-star 2020 forward Mady Sissoko did a great job of battling with Dante all game and finished with 10 points himself including a couple of impressive slams. The night cap proved to be a slightly different style of basketball than fans saw in the previous game, but it went down to the wire. Freeman used an aggressive 2-3 zone to muddy up the game and prevent Hastings from playing at their desired pace. Brady Ideus, the son of one-time Husker and Nebraska Wesleyan hall-of-gamer Chad Ideus, powered Freeman to a 12-8 lead after one with seven quick points, but Freeman scored just six points in the second quarter (on a pair of 3s by Trey Yates) and Mike Boeve hit a 3 of his own just before the buzzer to give Hastings a 19-18 lead at halftime. Hastings only scored six points in the third quarter and Freeman pulled ahead 29-25 heading into the fourth thanks to a late 3 by Kaleb Unvert. Hastings pulled within one early but a dunk by Ideus and a 3 by Tyler Adams pushed it back to six at 36-30. Hastings used an 8-0 run to take the lead but Ideus answered with another dunk to tie it up. After trading scores, Freeman missed the front end of the bonus, giving Hastings a chance to take the lead. After working the ball around, Hastings’ best player, junior point guard Connor Creech, fired up a 3 from the top of the key and drilled it with just over a minute to play. On the other end, Freeman ran down the clock without finding a good look at the basket. After two different timeouts to draw something up, Freeman finally got Yates free for a look but it just missed. Freeman fouled Creech to stop the clock and he hit both free throws to seal the win. Screech finished with nine points (seven in the fourth quarter) and seven rebounds. Quentin Synek led all scorers with 14 points including 4-of-7 shooting from deep while Jake Schroeder added 11 points and six boards. Adams had 12 points for Freeman and Ideus added 11 points, six boards and two blocks.